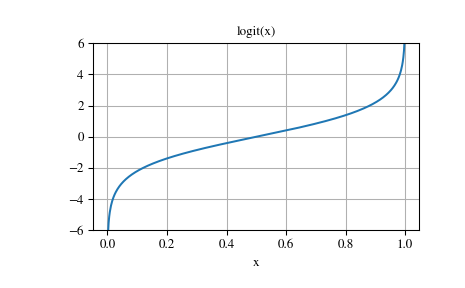 The logit function is defined as logit(p) = log(p/(1-p)). Note that logit(0) = -inf, logit(1) = inf, and logit(p) for p<0 or p>1 yields nan. The ndarray to apply logit to element-wise. An ndarray of the same shape as x. Its entries are logit of the corresponding entry of x.